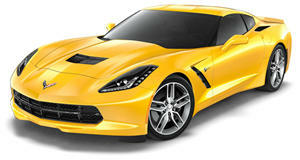 A Chevy insider has confirmed the automaker "messed up" when it developed and designed the C7 Stingray. Although it just had its official debut this past January at the Detroit Auto Show, the 2014 Corvette Stingray may not be on the market for as long as we thought. That's because the C8 Corvette could coming much sooner than predicted. Sources from within GM’s Detroit headquarters have confirmed that the C7’s lifespan will only last two to four model years, a dramatic drop when compared to previous Corvette generations. So what’s the reason for such a major decision such as this? 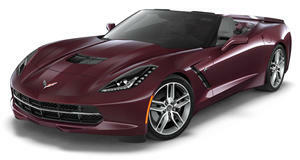 A Chevy insider who worked on the C7’s development stated that "we messed up. The C7 Stingray simply fails to meet GM’s upcoming fuel efficiency standards so all we can do now is come up with some sort of final edition while we simultaneously fast-track the C8’s development." That same Chevy source confirmed the car will officially drop the small-block V8 in favor of a new turbocharged V6. A plug-in extended-range hybrid version is also a possibility that could very well use a more powerful version of the next-generation Volt’s powertrain. Expect to see the first C8 concept debut as early as next year's Detroit show.